Flowers in Pictures - choose the one you will keep in your heart whenever you go…..
Crocuses are native species to the central Europe. Although they can grow in a wide range of habitats, for me the most memorable are those in sub-alpine areas. Imagine the early spring meadow covered by the carpet of blooming crocuses with the snowy mountains in the backdrop…. Can you think about something more enchanting, especially at that time of the year, after the long, boring winter? For sure these days you can have crocuses everywhere - in your garden, or on the night table to bring smile on your face for good morning. But believe me, nothing can replace the splendid view of a vast areas of grassland with blossoming crocuses…. However before you embark on the trip to Europe to experience these fantastic scenery, please keep and enjoy these free spring flowers photos of crocuses. On the left flowers of crocus; Bellow on the right - Lily of the valley picture. Traditionally the Lily of the valley symbolizes happiness and pure heart. Usually these beautiful bell-shaped flowers are first “discovered” by our sense of smell due to their lovely fragrance. 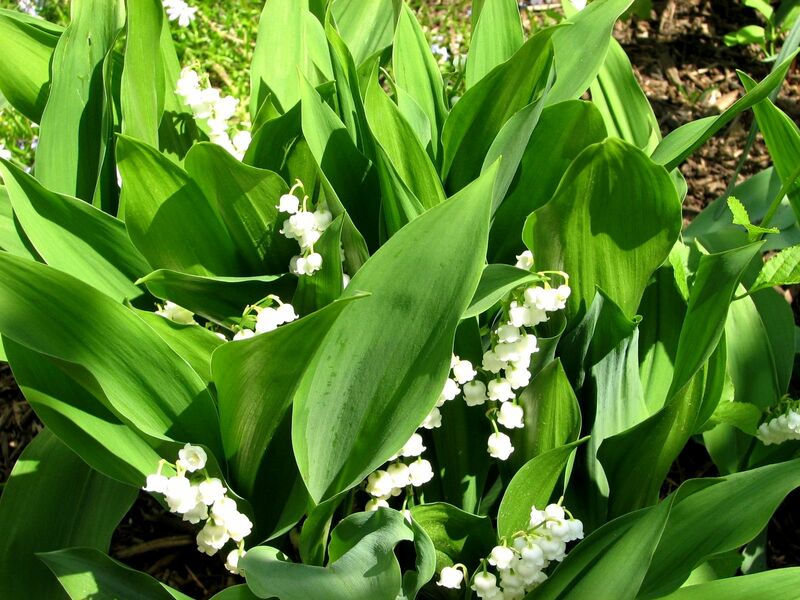 For me personally they symbolize the “romantic love”, may be because they bloom in May – the most beautiful month of the spring when love is “in the air”…..
Just for that reason please try to keep the Lily of the Valley picture in your memory. 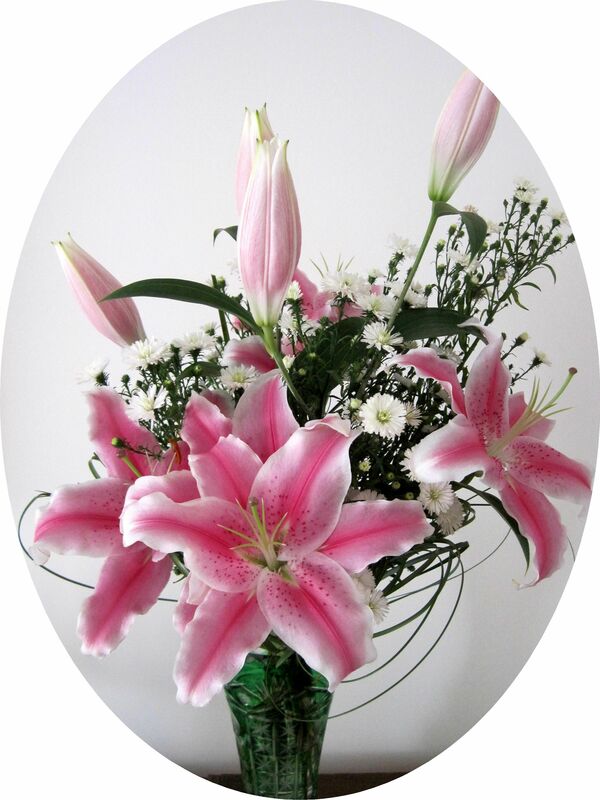 Lilies - Like many present time flowers – a large amount of lilies are hybrids. The most popular are Oriental Hybrids with quite large, fragrant flowers and tall stems making them favorite garden and long lasting table flowers. 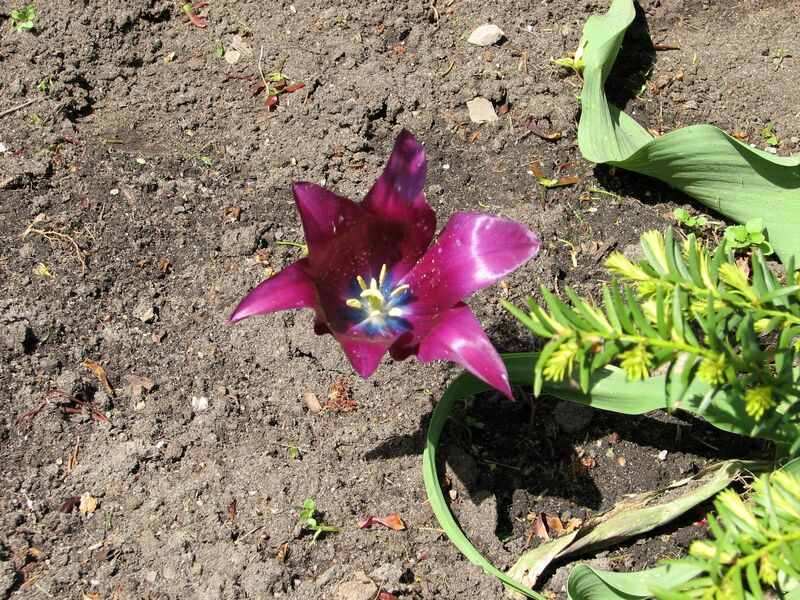 A well know example is Lilium Stargazer – seen on the left picture..
Good things about tulips? - You may easily find them in any color including mixed patterns! Since few centuries tulips are a well recognized emblem of Holland. But there is nothing more deceiving than this perception because originally tulips came from Persia. The name of tulip is basically a “naturalized” form of Persian word “dulband” (turban). 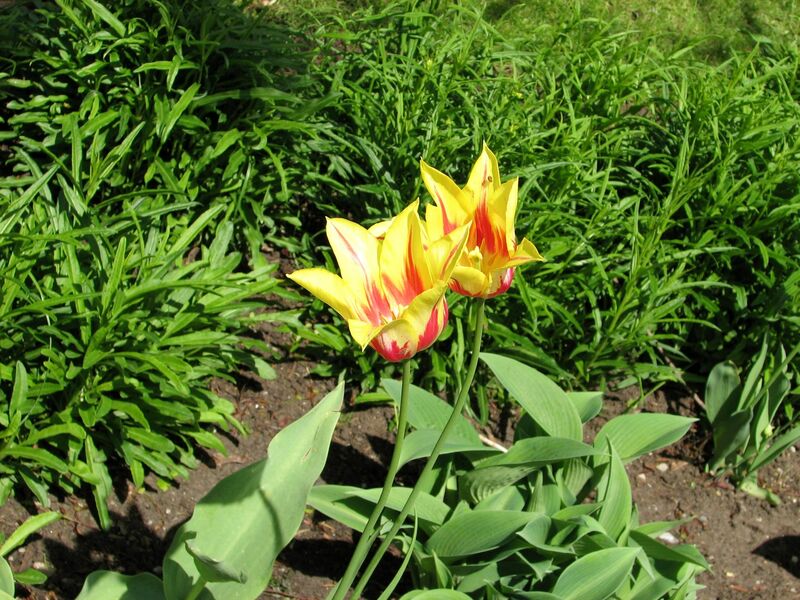 It is not clear if the Latin name “tulip” was given due to the resemblance of its bloom’s shape to a turban, or because in the ancient Persia tulips' flowers were worn inside of the turban as a part of the old times fashion. Regardless the tulip’s etymology, these flowers are still very popular, due to the large variety of colors (red, pink, yellow, orange, white …just make a wish) and deeply rooted symbolism - mainly associated with lovers. That actually surprises me because honestly – tulips flowers are not that much elegant and not very romantic. They do not inspire our imagination as many other beautiful flowers. In spite of this for some they are just perfect flowers. So please enjoy these “organic” pictures provided by Free Spring Garden Pictures (I’m writing “organic” because these pictures are not “staged” nor “manipulated for special visual effects – they captured the nature as it is). As a flower lover I’m trying to promote the practice of keeping flowers in their natural habitat instead of cutting them to keep on the table. By doing so and enjoying tulips pictures (or as the mater of fact enjoying photos of any flower), you will have their gratitude and freshness of shapes and colors forever!